This volume looks at the technological modernization of the Bulgarian air force and presents recommendations on how to best proceed with the acquisition of multi-role fighters. The paper discusses the overarching challenges of transforming the force, assesses the implications of NATO membership and outlines UK procurement practices. Furthermore, original contributions elaborate on the role of air power and possible definitions of mission capability packages and analyze the challenges in the anticipated procurement of multipurpose fighters. Editorial. "Challenges of Air Force Transformation." Information & Security: An International Journal 21 (2007): 5-6. Emmens, Henk. "A NATO Perspective on Challenges and Prospects for the Bulgarian Air Force." 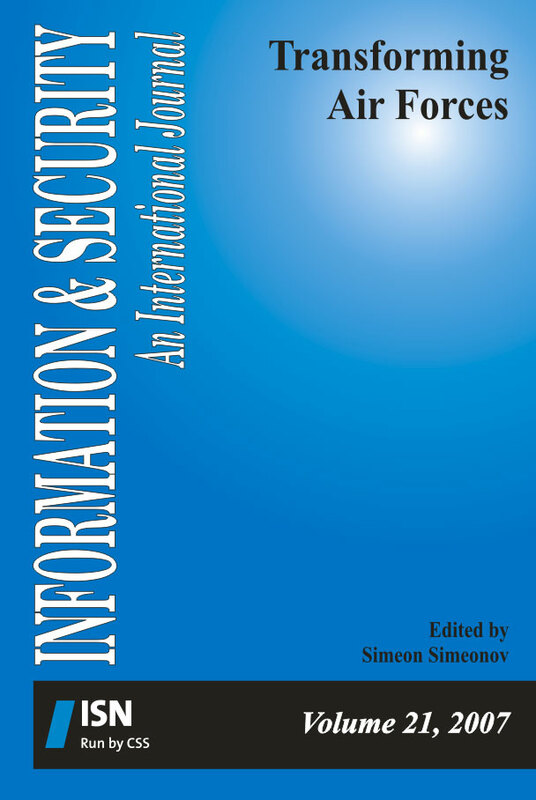 Information & Security: An International Journal 21 (2006): 19-26. Mackay, Gavin. "Challenges for the Bulgarian Air Force - A Royal Air Force Perspective." Information & Security: An International Journal 21 (2006): 27-43. Georgiev, Venelin. "Analysis of Alternatives: An Efficient Tool in Managing Force Modernization Projects." Information & Security: An International Journal 21 (2007): 92-106. Monitor, ISIJ. "Air Force Transformation resources." Information & Security: An International Journal 21 (2007): 109-118.